Home » Articles » Why Does My Cat Bite Me? Some cats and kittens will sometimes bite their owners. This can be distressing, especially as it often occurs out of the blue when the cat seems to be enjoying being cuddled or stroked. There can be a number of reasons why cats bite – they could be ill or in pain, or they may be stressed or frightened. It seems that some cats will tolerate and even enjoy affection from their owner for a certain length of time, but then feel the need to end the petting by biting. This change seems to happen very quickly and may be because of a previous experience or as a result of feeling vulnerable and unable to escape. When a cat bites you softly while you’re touching them, this is often a warning that they want you to stop. Even if it doesn’t feel aggressive, if your cat bites on nips you gently then it’s best to err on the side of caution and give them some space. 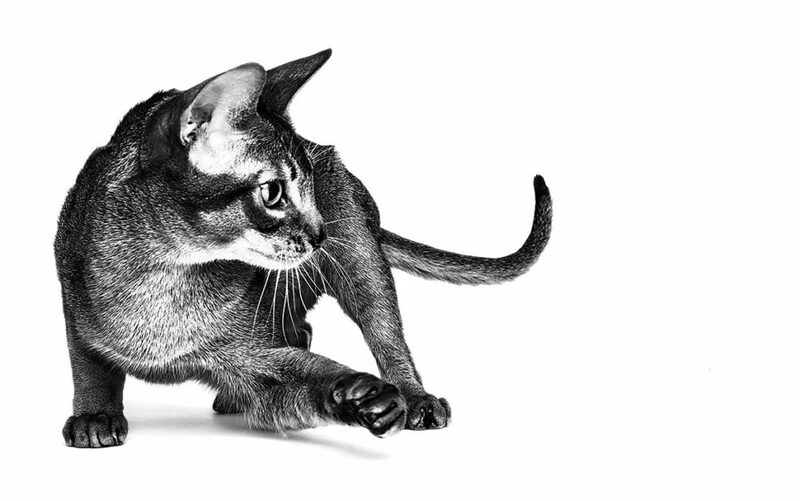 If aggression is affecting the bond between you and your cat, you should seek specialist behavioural advice to help address the underlying causes for your cat’s biting problem. Your vet will be able to point you in the right direction. Remember that cat bites can be dangerous because cats can carry some nasty bacteria in their mouths, so if a bite has broken the skin, do seek medical advice. In general, if your cat has bitten you when being stroked or cuddled, we suggest always keeping fussing sessions short. Look out for warning signs such as tail flicking, flattened ears, and wide pupils and stop as soon as you see them. Ensure they can always escape – don’t pick them up or hold them while stroking. And avoid sensitive areas such as the legs and the tummy. Most cats prefer to be touched on the head and the neck, so stick to these areas. You may well want to train your cat not to bite you – however, it’s vital that you do not hit or strike your cat. This won’t help to curb this behaviour. In fact, it will only teach your cat to be scared of you, which may in turn increase the amount of aggressive behaviour your cat displays. We hope this gave you the answers you were looking for. However, if you have another question about why cats bite, feline behaviour, or any other questions about cats then we’d like to help. Submit your question below.